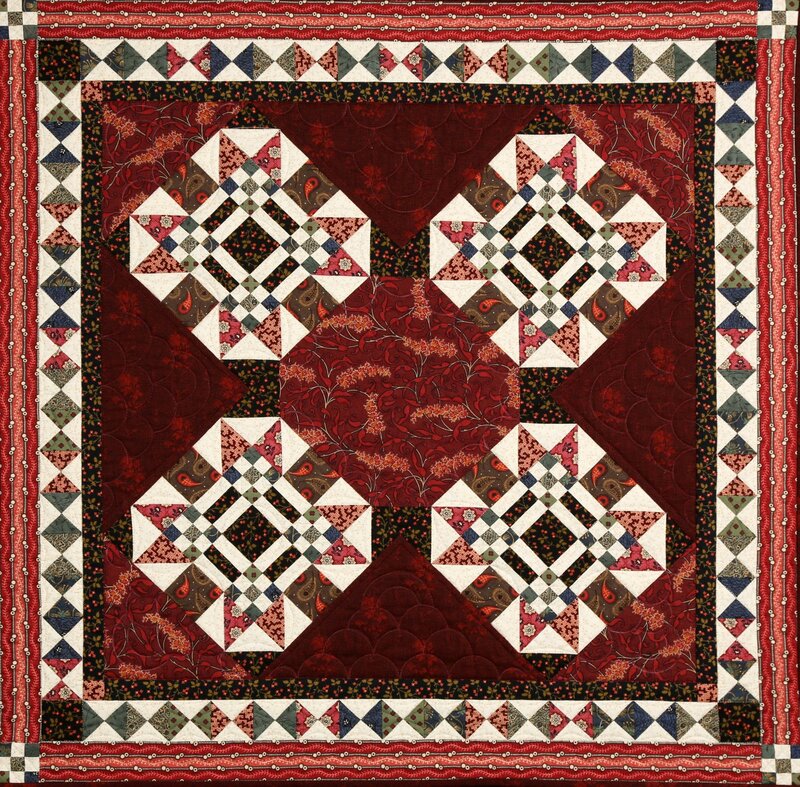 The block in this quilt was published in The Country Gentleman, a farm magazine printed from 1831 to 1955. The magazine provided farmers with everything important to their business. It also benefitted the woman of the house with recipes, quilt patterns and, of course, helpful hints on child rearing. The Country Gentleman and other similar magazines, were links to the outside world for farmers and their families. Wallhanging 29" square & Topper 14 1/8" square.